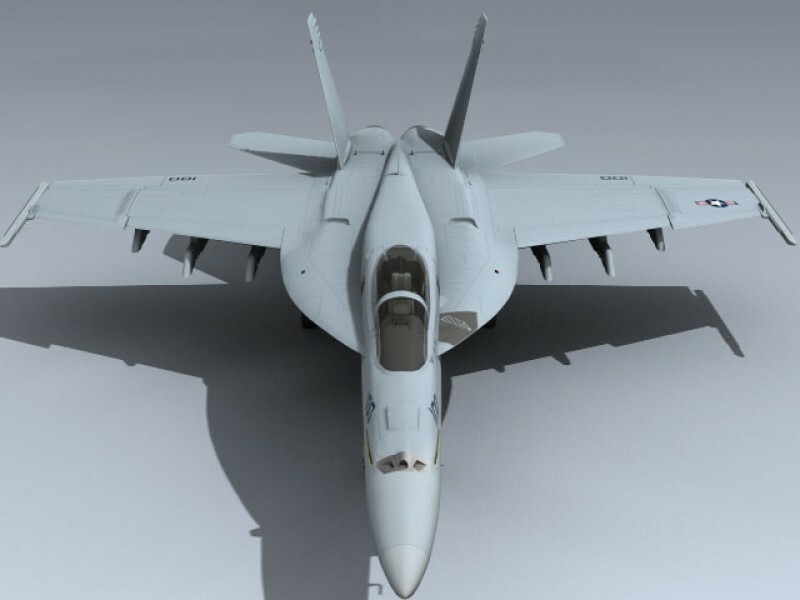 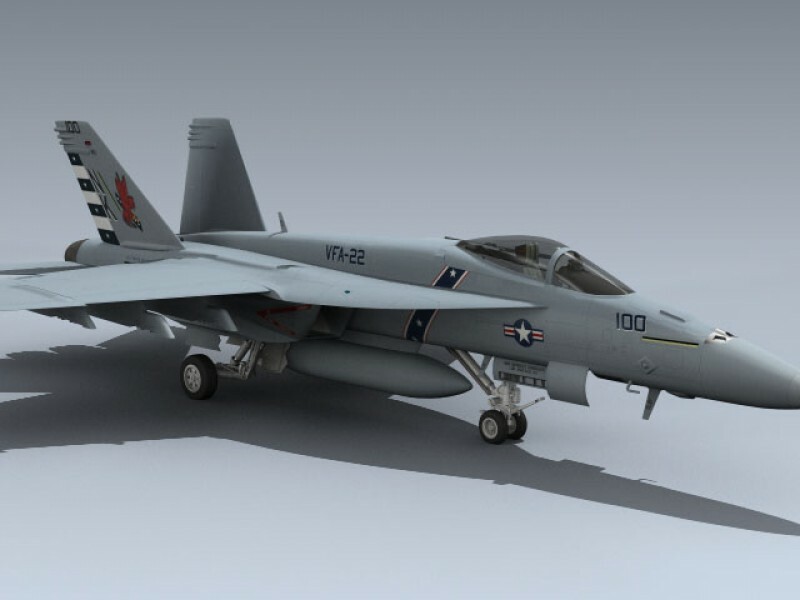 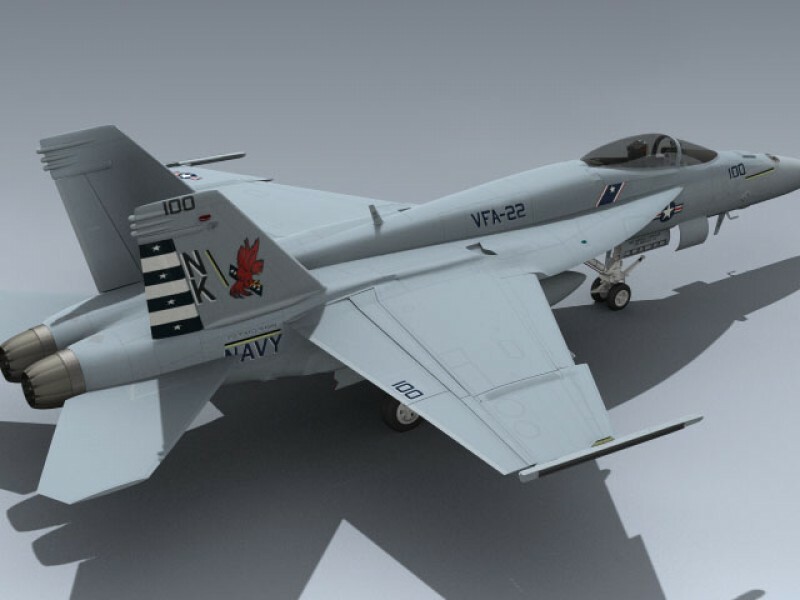 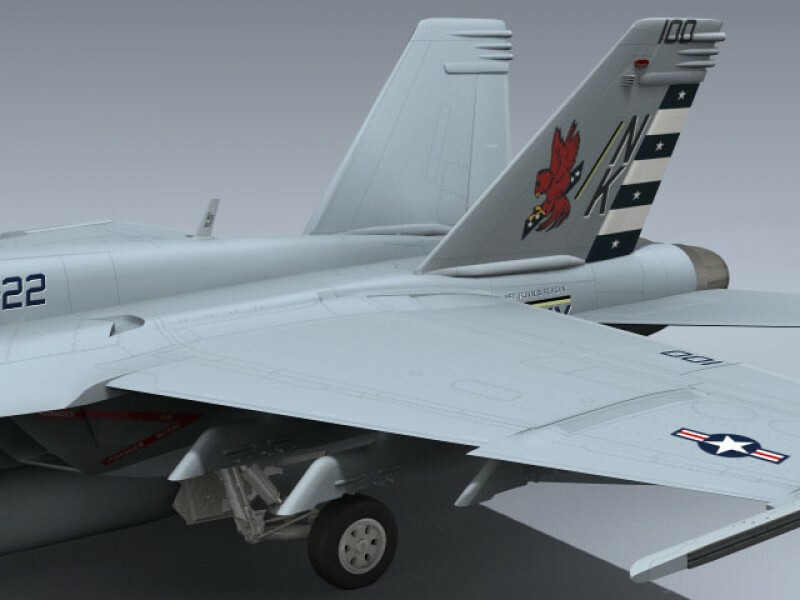 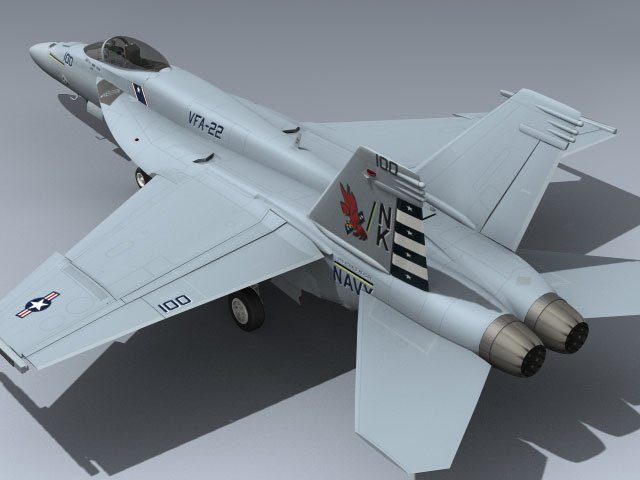 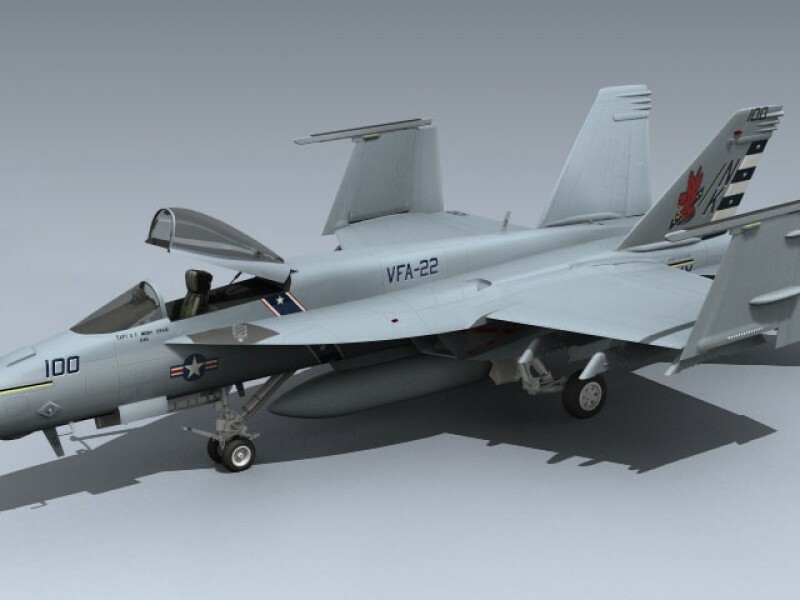 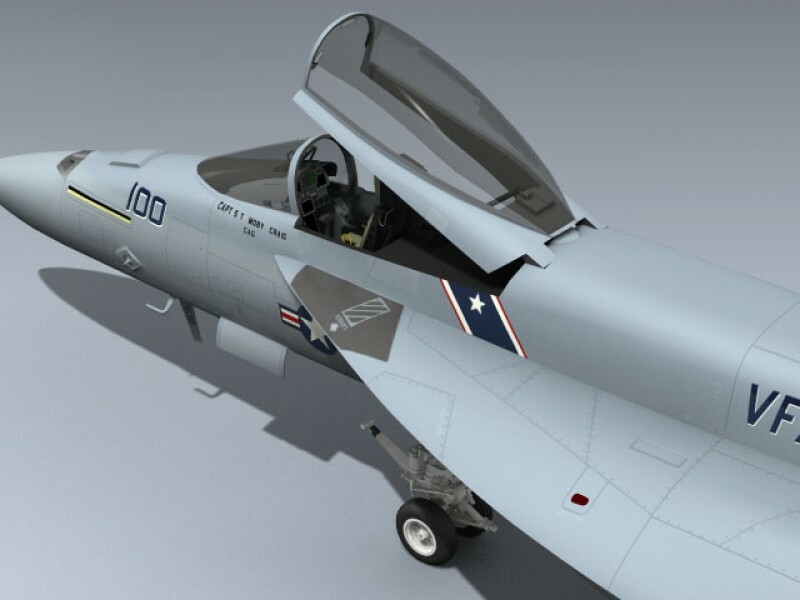 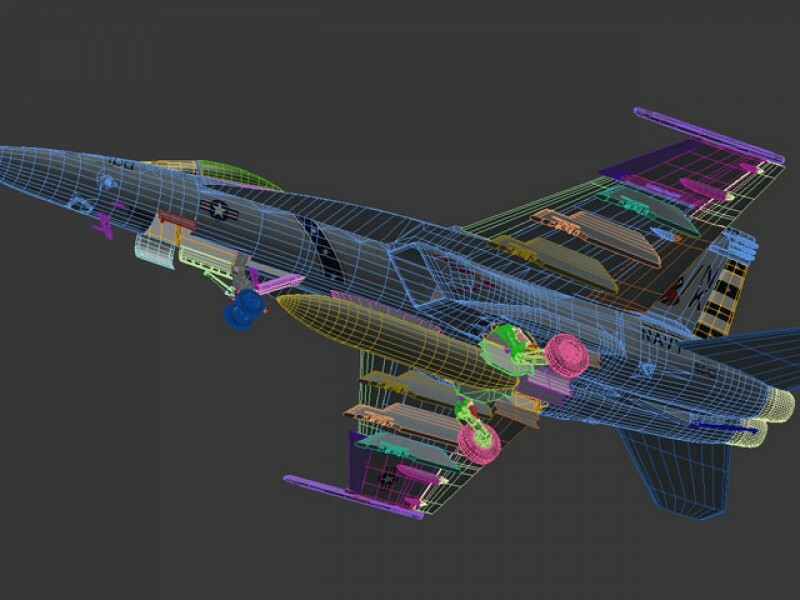 Very detailed single seat Super Hornet with separate drop tank, ejection seat, flaps, slats, tails, rudders, canopy, and wings for animating. 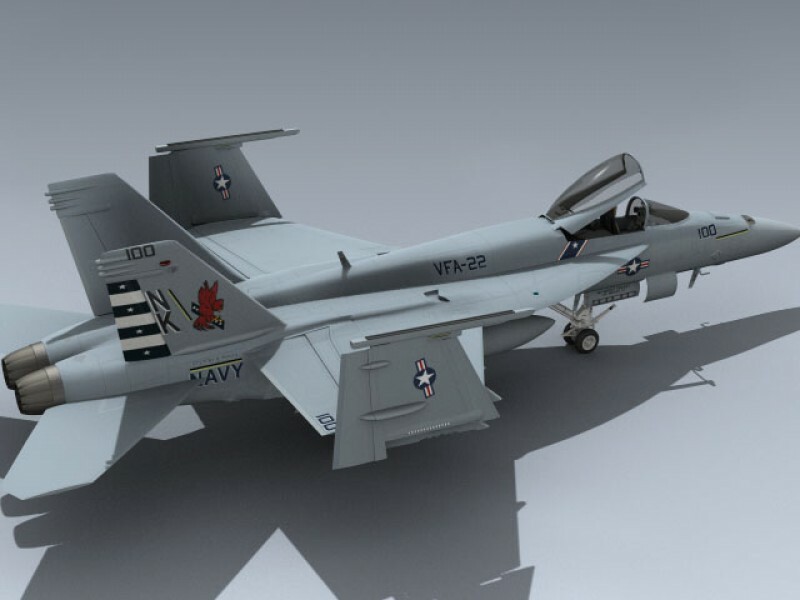 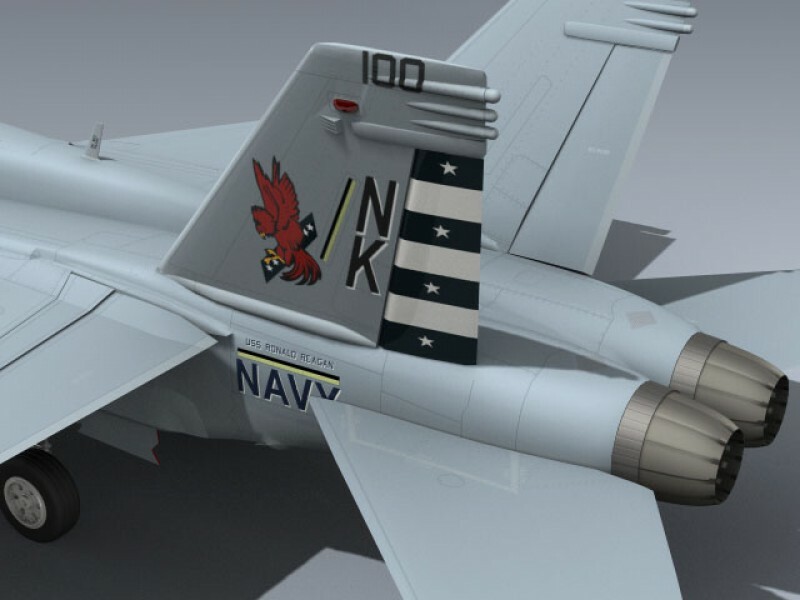 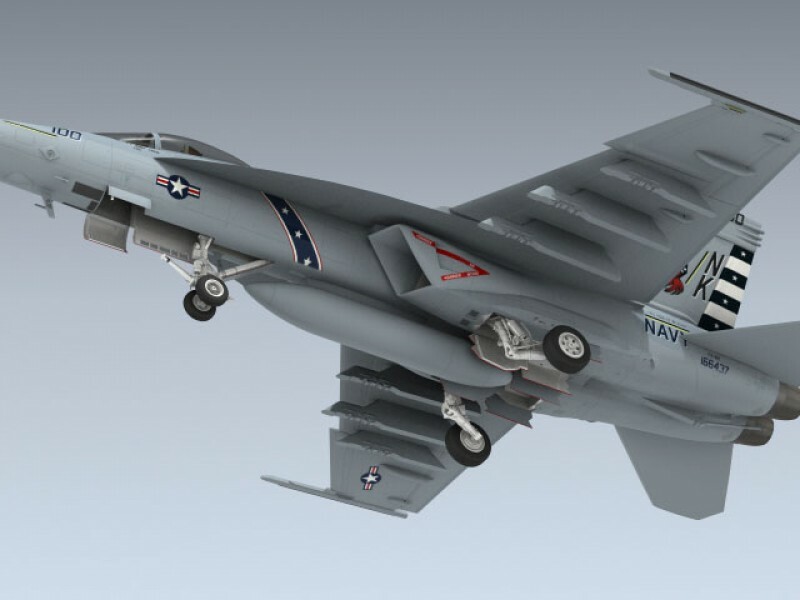 The paint scheme accurately represents the VFA-22 CAG bird from July, 2005 aboard the USS Ronald Reagan. 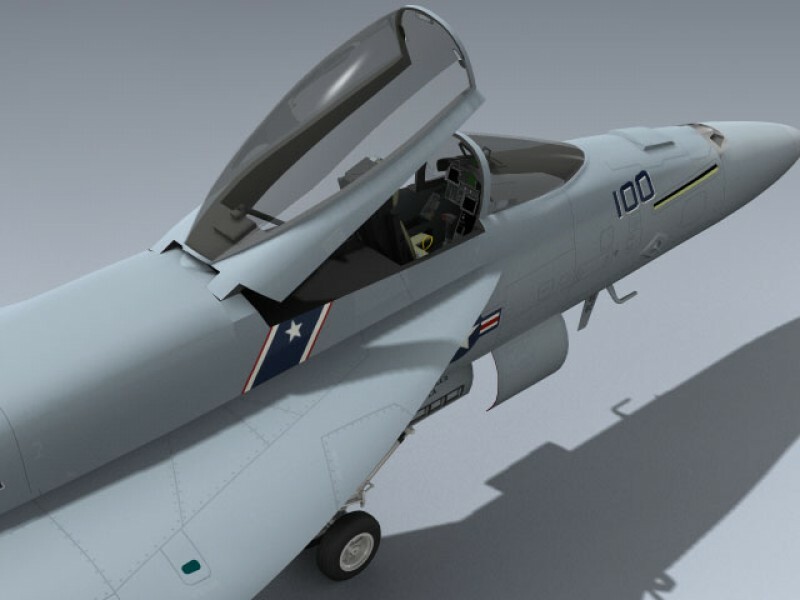 Includes a separate set of landing gear doors in the closed position for fast in-flight setup.